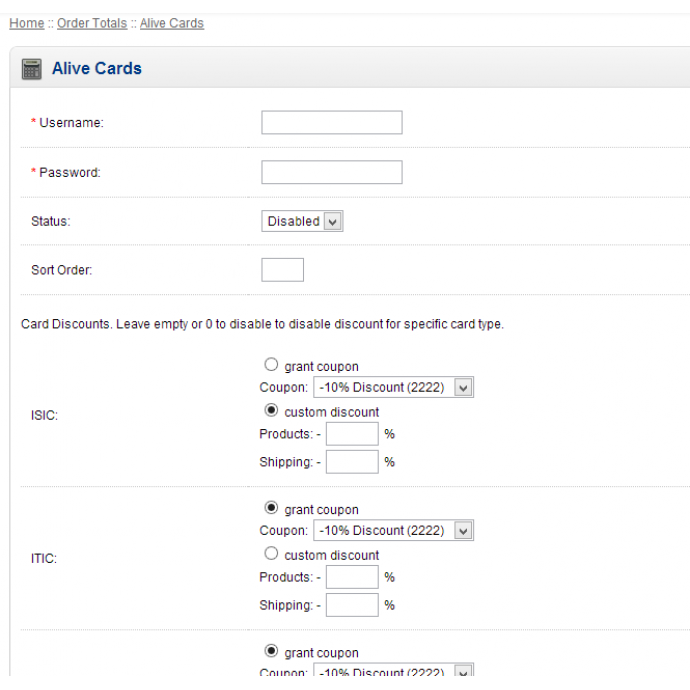 Alive Cards is order total module for automatic verification of ISIC, ITIC, IYTC and ALIVE card owners. 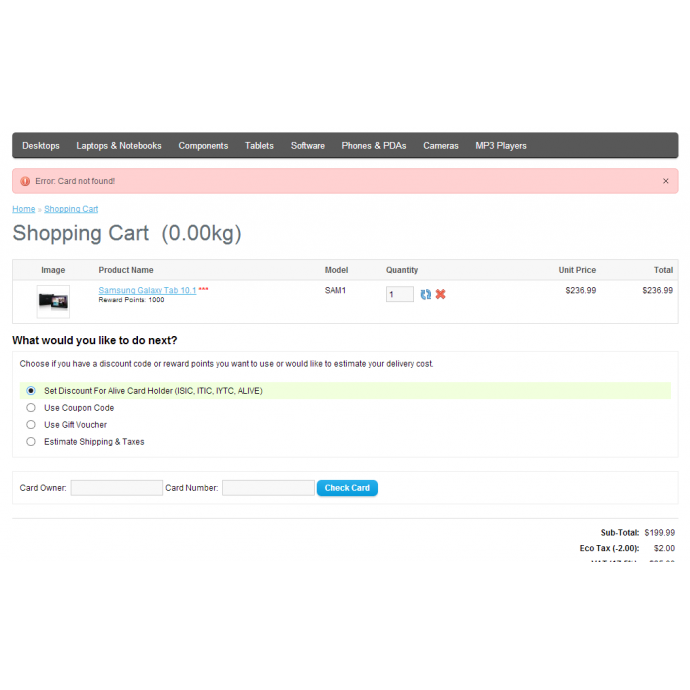 Customer will be verified by filling card number and his name on cart page. 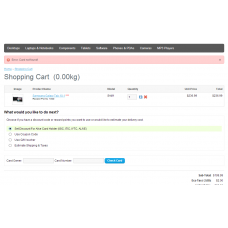 You can set discount in % from products and/or shipping price, or you can select coupon to be automatically granted to verified customer.